Creating your own city from scratch in a normal city builder, ala Cities: Skylines or Tropico 5, is an oftentimes challenging yet straightforward affair. You build residences and factories for people to work and add in other amenities as your city grows and prospers. Trying to do the same thing as the first humans to colonize Mars is an entirely different story altogether. 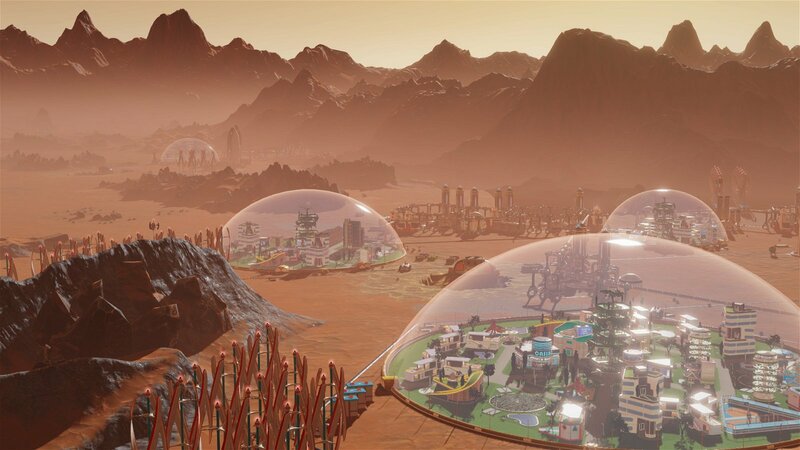 It’s the premise of the aptly titled city builder Surviving Mars, and in doing so the game stands out from its competition thanks to its commitment to making you earn each and every ounce of progress as you try to make the red planet viable for humans. 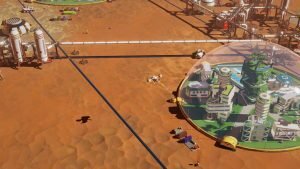 Surviving Mars (PC) – image for this review provided by Paradox Interactive. It begins with a single rocket. 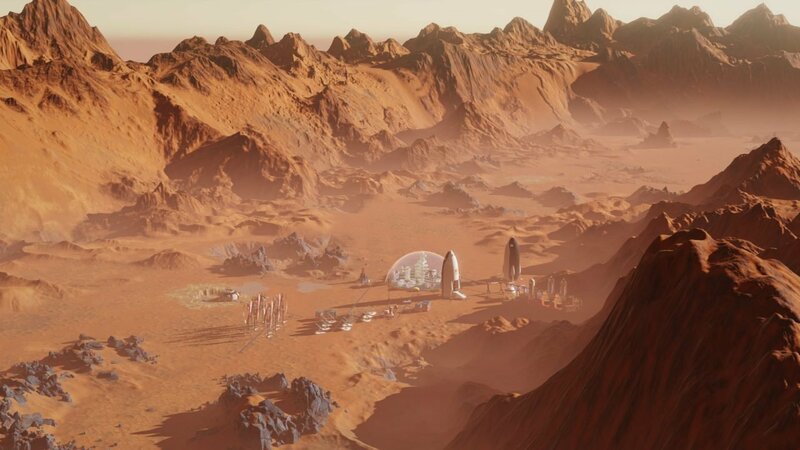 Loaded with drones and a variety of resources that can’t be manufactured on Mars yet, you have to make a number of choices before your colony even begins to take shape that can drastically affect the course of its future. Your sponsors, leader, and landing site will affect everything from the availability of resources to how quickly your research advances, and it is through these decisions that you can make the game as easy or as difficult as you wish. From the moment your rocket touches down, you’re on the clock to create the most habitable space you can before you send in your first colonists. Much like other city builders, this requires the proper management of resources so that you can maximize your production efforts, though having to worry about your oxygen supply is an admittedly new problem I haven’t encountered before. 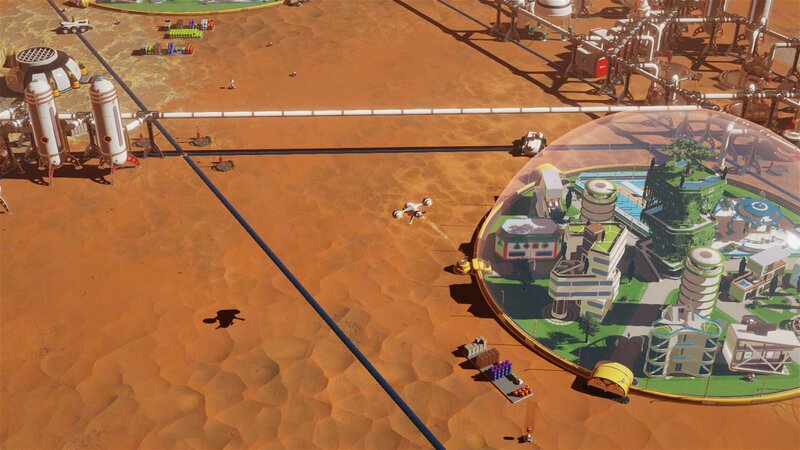 It’s a shame that the in-game hints are a bit too lax in telling you exactly what some of the more unique buildings and tools do, but in general Surviving Mars introduces the basic concepts at a steady pace, giving you plenty of time to figure out how they work before moving onto the next. This is particularly important because of how precarious your situation often is. It always feels like you are one disaster away from losing all your hard work, but it never feels like there is a problem that you can’t overcome. Haemimont Games has designed this game in such a way that there is a constant problem or challenge to overcome, with there being few moments to relax and think that everything is okay. There’s always another mining expedition to start, another set of stressed out colonists to look after, and another shipment of resources to send back to Earth. And it’s this steady sense of progression that is at the core of what makes Surviving Mars so great to play. Fortunately, the game also tries its best to ensure that there is always enough variety from playthrough to playthrough so that it doesn’t get repetitive. Apart from the choices you make before you begin, the technology tree is randomized with every new game, meaning that only a portion of all the technologies in the game can be researched in one playthrough. Random maps also help to keep Mars feeling fresh, though the visuals of the colony and its buildings do get stale after a while since they all follow a similar aesthetic. But the greatest source of variety, and the most interesting change to the city builder formula, comes in the form of Mysteries. 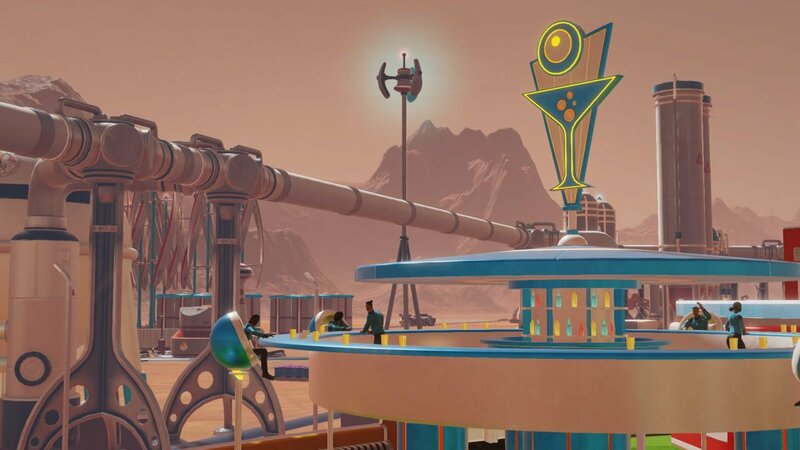 Mysteries are the core of Surviving Mars’ story, if you want to call it that. While the majority of the game is meant to be an open-ended sandbox, Mysteries provide a framework with which you can engage with unique challenges once your game escapes the early survival stages. In my first playthrough, the random mystery that was chosen (you can choose specific mysteries before starting a new game if you wish) was to discover and deal with a series of black cubes that ominously floated close to my domes, though there are a total of nine you can take part in. These do much to prevent the late game from becoming stale and are a welcome addition. Apart from the big picture details, I was continually impressed by how the small choices you make can drastically affect the eventual outcome of your colony. The traits and flaws your colonists come with can turn your colony into a religious haven or a mecca for engineers. Researching mind control will prevent your citizens from becoming unhappy when you decide to start recycling the dead. Even turning off a defunct factory will gradually result in it becoming coated in thick Martian dusk, serving as a stark monument to your colony’s earliest days. Surviving Mars successfully pulls off the difficult task of keeping you engaged from beginning to end and offering the player challenge after challenge in a way that few other games in the genre can provide. 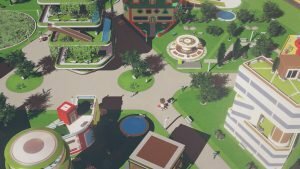 Make no mistake, Surviving Mars is one of the best city builders in years, and I can’t wait to see what Haemimont Games has in store next. A retail version of the game reviewed was provided by the publisher. You can find additional information about CGMagazine’s ethics and review policies and procedures here. Liked this article and want to read more like it? Check out more by Preston Dosza like his reviews of Total War: Warhammer II – Rise of the Tomb Kings, Dynasty Warriors 9 and why Monster Hunter World will succeed in the west! Surviving Mars is a challenging yet engaging city builder that makes me want to colonize Mars again and again.